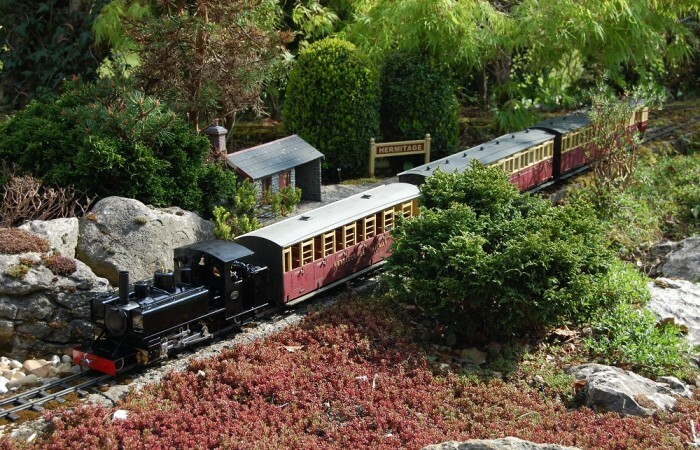 Bodiam Nursery and the 16mm Narrow Gauge Modellers Association sponsored the 2015 National Garden Railway photo competition, where the photos show how plants can enhance a garden railway. All entries can be found on the www.plantsforgardenrailways.co.uk website. We thank all those who entered, and Keith Skillicorn and Becky Pinniger for selecting the winner from around 100 entries. 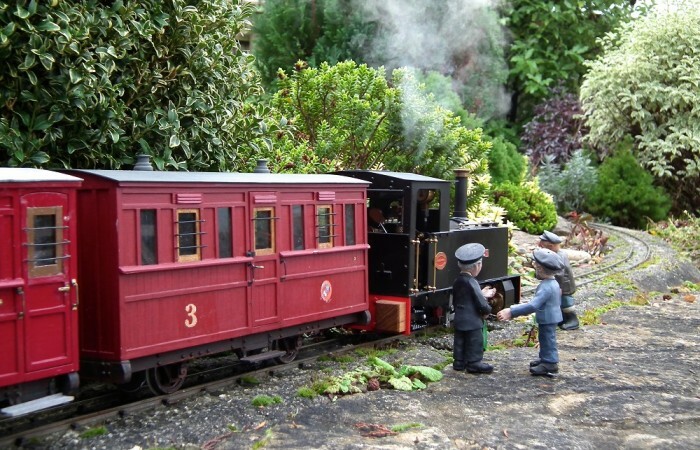 This photo was taken on Chris’ Summerlands Light Railway in Dorset. A restored Roundhouse Charles Pooter, dating from around 1985, is waiting to haul a rake of Atropos Schull & Skibbereen coaches built by David Turner. Busybodies by Rob Bennett and Modelearth Design are discussing the local plant life which includes variegated Box, dwarf Hebe and self sown primroses. In the distance are Pittosporums and dwarf pine mugo. Chris received a free box of plants from Bodiam Nursery and a year of free membership to the association. Becky tells us that the planting for Entry 9 is in scale with the railway. The foliage varies in colour and shape and adds interest around the line. Being in scale the plants do not dominate or ‘jar’ with the miniature railway. There is a good backdrop of greenery too, which sets off the varied foliage of the shrubs in the foreground. 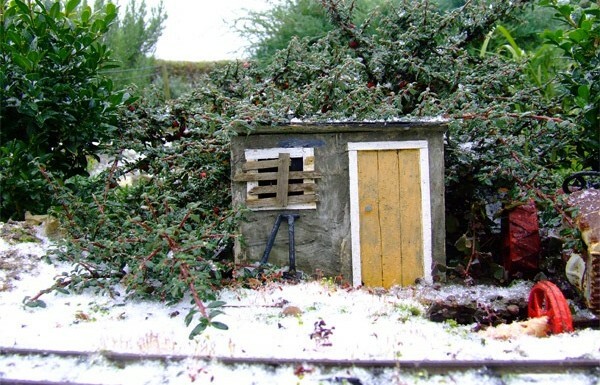 Jayne tells us that the plant growing all over the hut and covering the tractor is a cotoneaster which has tiny berries in the winter. On the left of the photo is Buxus sempervirens. John tells us that the planting includes sedum, acer palmatum dissectum, hebe green globe, crassula, various dwarf conifers and clipped box. We are running the competition again in 2016 – find out how to take part!